In 2013 I traveled in Italy for a month and Umbria was one of the regions I fell in love with. Returning to this region, the landscapes, smells and tastes, the rich history and centuries of tradition -all of this makes my creative spirit vibrate with joy. I am thankful for this opportunity to share my experience and knowledge with you. 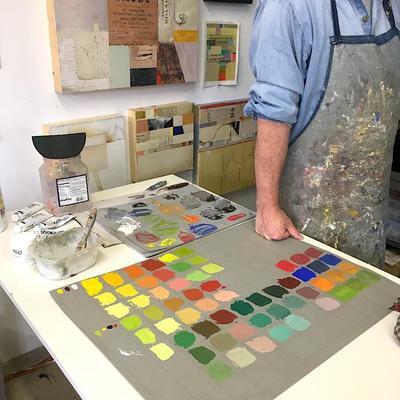 I will provide you with instruction of color mixing, mark-making and strategies to create rich and harmonious designs that reflect each artist's unique creative voice. Imagine the studio as a laboratory. A place where constant experimentation leads to fuller understanding. A space that promotes process, supports trial and error, even failure, over the product. You can expect a rigorous exploration into the vast and complex world of color and design. The goal here is to provide each student with a strong basic understanding of color - how to see it, how to use it, how to mix and combine hues to achieve that most elusive goal - harmony in color. 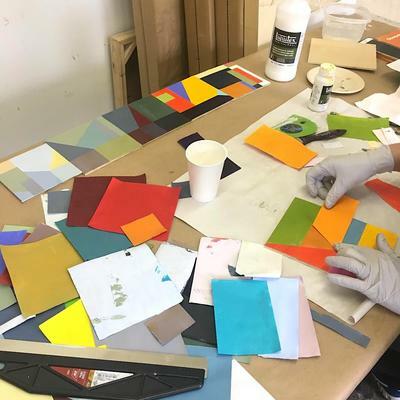 You will leave the workshop with numerous small studies and several completed works of art, but more importantly, a renewed and enriched sense of adventure and confidence in how to tackle the blank surface. It is important for artists to understand the fundamental principles of drawing and painting, but equally important are the existential questions that we all ask. In this workshop participants will have ample time to discuss these important issues. What colors to use? Why can’t I mix the right colors? How to achieve color harmony? The workshop and full access to the studio. $3000 Early Bird Registration, open until November 1, 2018. 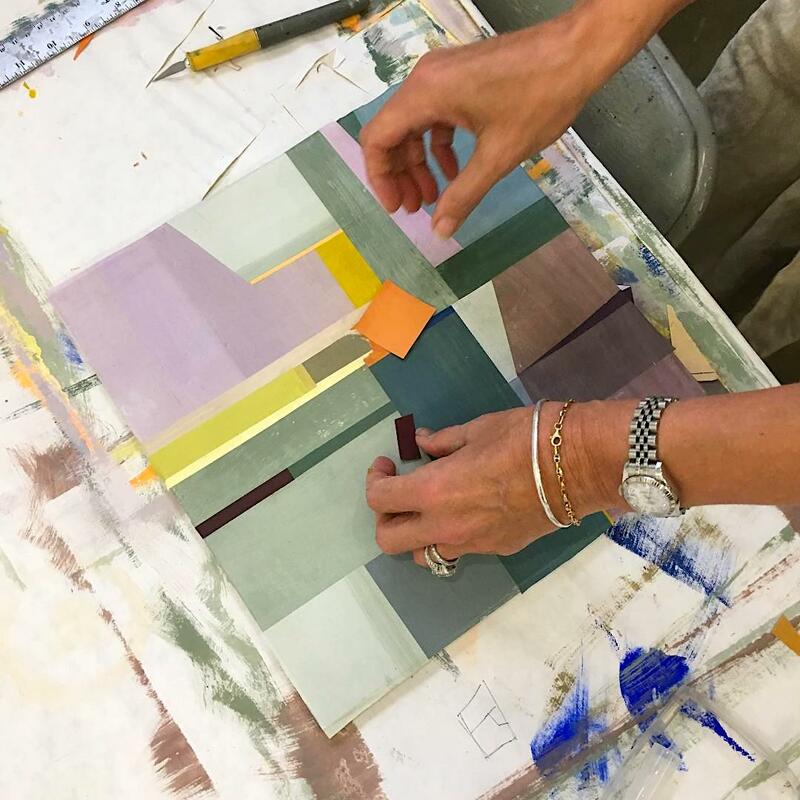 This workshop will enhance one’s studio practice and life in general. It will speak to you. Each day you decide what are the most meaningful takeaways for your practice. Mark created a lovely balance for both learning and allowing individual expression. Mark is a great lover and keeper of knowledge, a perpetual student who not only wants to demystify the knowledge for his students, he wants them to have the keys to the kingdom. His great reverence and respect for what art is and what it can be are obvious and contagious. I will keep these days (in the workshop) as a torch to be light when in a tunnel.